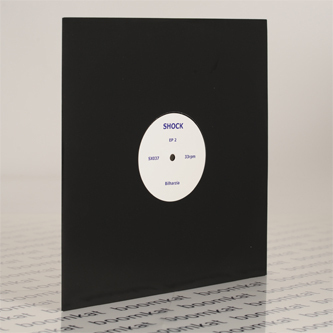 Stefan Jaworzyn (Skullflower/Whitehouse) unleashes two further sides of churning, noisy modular f**kery on his legendary and recently revived Shock label. Up top, 'Bilharzia' is a squashed and distressed tract of wobbly bass and surging squall, whilst B-side is loaded with the juggernaut momentum and blistering but lush harmonic noise of 'Make A Joyful Sound'. Check that B-side, it's a beaut!